The result looks exactly “as expected”. 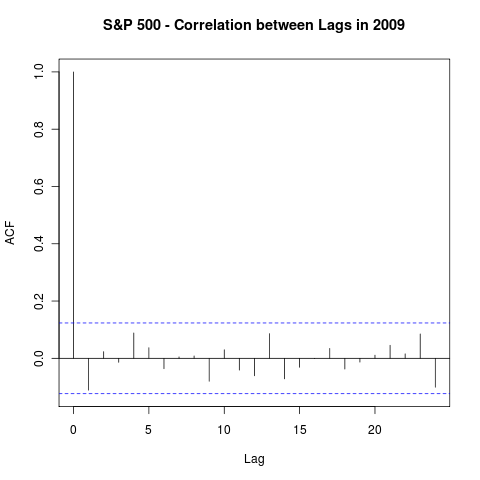 There is no statistically significant correlation (the dotted lines) at any of the lags. Now there is a statistically significant correlation at lag 1! At this point I remembered MarketSci statement and decided to dig further. 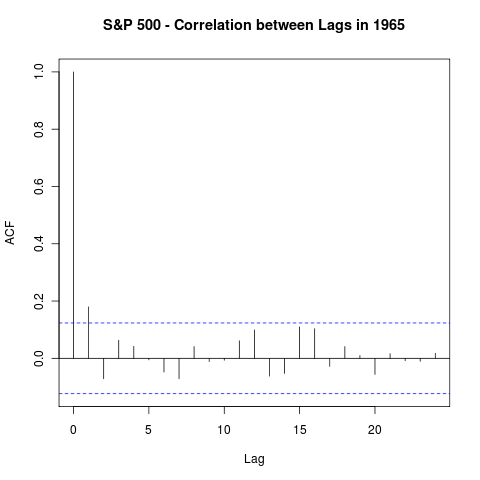 To make the long story short, for the most of the 60s and 70s, this correlation existed. I can hear some of you saying so what?